Hi to all of my readers. I know, yet again, I have taken a long break from blogging but I have had a lot going on, many changes within my life, and I needed some time to get settled into my new life as I like to call it. Thank you to all those who continue to stick around and read, comment and like my content on this site. I am not sure if I mentioned this in another post, but I have made a YouTube channel called The Dancing Book Nerd which I will hopefully get started with soon where I will be talking about books, doing bookish activities and posting book related dances inspired by different books; that’ll be different and unique to what we see on BookTube these days. It will also consist of musical theatre content as well for all those theatre kids out there who like to geek out on musicals with me. Now, for the books that I have read since I last posted. The last book that I posted about was Winter by Marissa Meyer, which I thought was a brilliant finale. 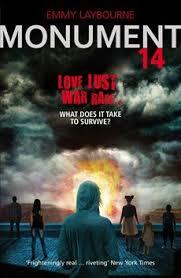 In September, I read, Flawed by Cecilia Ahern and the first book in the Percy Jackson series. I loved both of these books so much. Then in October, I read the next 3 books in the Percy Jackson series which, yet again, I adored. 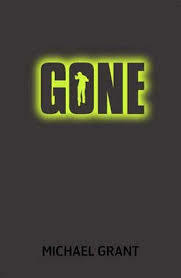 In November, I read the next book in the Percy Jackson series and in December, I managed to read the last book. These books were a re-read for me and still stands as my favourite book series. The reason why I wanted to re-read this series is because I discovered The Lightning Thief: The Percy Jackson musical and it reminded me why I love this series so much as it was so accurate. It made me happy after “The movies we should not name.” Then in January, I started off the year by reading The Cruel Prince by Holly Black and it was epic. Great way to start the reading year. The next book I read was Otherworld by Jason Segel and Kirstin Miller which had a really cool concept and I can’t wait to find out what happens next within this world. After that, I started reading Zenith and am almost finished and I am enjoying it so far, but I need to pick it up again soon to finish it. In February, I read Ever the Hunted by Erin Sumerill and I really enjoyed the book again, but it did take me a whole month to finish it. Lastly, we have this month which is March. So far, I have read They Both Die At The End by Adam Silvera and I cried so much. I managed to read the book in one sitting and my perspective of life has completely changed due to this book. Those are all the books that I have read from my last post to now. The book that I am currently reading is Children of Blood and Bone by Tomi Adeyemi. I am only on chapter 3 but I am enjoying where it’s going so far. The only negative I have for now is the size of the font. It’s so tiny that it feels like I take ages reading a page. However the writing and world is keeping me engaged in the story so that doesn’t matter too much. This is everything that has been going on since last August, which is a lot, but I have everything sorted out now and am back better than ever. There is a brilliant future for this blog and for my life in general, so I hope that you keep reading and supporting my reading and performing journey, which I will keep you all updated on so you’ll be the first to know what’s happening. Have a good evening or a good day, depending on where you are from, and you shall hear from me again next week. Have a good week and remember to keep smiling. Some of these would be rereads and I have no idea which to read next. What do you think? Please let me know. Hello everyone and welcome back to my blog. So today, I have finally started reading Winter by Marissa Meyer. I have been meaning to read this book for such a long time now and I have finally gotten around to reading it. I started reading this book a couple of weeks ago but found myself in a massive reading slump, hence why I didn’t read much. Yet now, here I am, having read the whole day away and absolutely enjoying this book. I am currently on chapter 35 of the book and have barely been able to keep my head out of this book. I must admit, the size of this book has definitely intimidated me, which made me worried that I won’t be able to read and finish the book as I have had this trouble with two other books that are this long and longer even. Now that I have started reading this book though, I am completely immersed into the story and can’t wait to find out what happens to all of my favourite characters. In the book before this one, Cress, I really enjoyed learning about Cress and her way of life. I realised that I can identify a lot with her more than the other characters as I have to deal with a similar type of anxiety. I can’t be around crowds, too many people or a lot of social situations that include me talking, unless I’m performing. Due to this, I have grown attached to Cress and I hope in this book, nothing bad happens to her in this conclusion. We also got introduced properly to Jacin and we got to briefly meet Winter as well. Winter freaked me out a bit in the previous book due to how she was behaving, but now that I have started to read Winter, her character has started to grow on me. I now understand her reasons for why she is the way she is and I find all of these characters within this series so great. I wanted to update you guys on my reading and might do this every day so that you know what I am reading and read my thoughts about the book as I read it. What are you currently reading and how are you finding your books? I would love to know so that we can all talk about our favourite books. See you soon. Hello everyone. I’m finally back. It has been such a long time since I last posted on my blog, and I must admit that I have missed blogging a huge amount. So here I am again, bringing my blog back. So much has happened since I last posted on my blog, the most significant thing being that I have finally officially finished college. Which means that I now have so much more time on my hands, meaning that I have more time to read and blog. College has been fun, but the amount of coursework that we got given made my second year really stressful. I have to admit that I will miss it, but I’m also kind of glad that I finished as I’m ready to move on to the next stage of my life. The next stage being university. I am currently taking a gap year to prepare myself and get myself financially ready, and then, hopefully, I will be going next year. I will continue on with my dance and choreography studies there and see where those three years end up taking me. I also need this gap year as well as I think that I deserve a break to relax, before the next few years of stress come my way. I have been thinking of creating a YouTube channel that is not only based around books, but is also based around dance. I was thinking that I would do book related videos and also post book related dance videos as well. I got the idea when I had to create a dance for my final performance at college. The theme was movies so I decided to choreograph a dance to The Mortal Instruments: City Of Bones and everyone loved the dance. It told the whole story in 5 minutes and I was thinking of doing the same thing for the YouTube channel. What do you guys think? Would that be a good idea? That’s all I have for this post, but I will continue on with the blog again, so expect a new post soon. Hello everyone and welcome back to my blog. I know that it has been a long time since I last wrote a blog post, which I apologise for, but I have a good reason for this. Since my last blog post, I have had a very busy time at college with my course. I have had a lot of full-on rehearsals for dance shows that I have been in and I have had tons of coursework as well for university next year. I have also had to go visit a few universities for next year so I have had no time to write anymore. As you can probably tell from everything that I have been doing, I have come back home exhausted from hours of rehearsals and coursework. Now, however, I should have more time so I will try and write blog posts for every week. Now that I have talked about all of this, I will talk about the book that I have just finished reading today which is… Six Of Crows by Leigh Bardugo. I really enjoyed this story as it was fast paced and had me glued from the first page to the last. So much happened and I really enjoyed learning about all of the characters. The characters were all very different to each other which was good and they all had something interesting about them which made them different. My favourite male character was Kaz Brekker. I like him the most as he is such a clever character. He’s so young, yet he went through so much and ended stronger because of it which I have to say I really admire about him. I was amazed at the schemes that he came up with and how everything he did ended up working. He is also a born leader which was really interesting to me. My favourite female character is Inej aka The Wraith, as she is really important to the story. I feel like I could relate to her with the fact that she can sneak up on people and they won’t know she’s there as I can sometimes go somewhere and not be noticed. I feel sorry for how she was treated when she was younger but feel happy at the way she is now. I really want her and Kaz together so hopefully that will happen in the second book. I liked how their relationship grew so much, yet it was more in the background so it didn’t take away from the main plot. Nina is a good character as well as she is a Grisha and has to go through so much throughout this novel due to what happened to her in the past and what happens to her in the present. She is really tough and cares about the people she is with. I like the fact that she won’t be pushed around and that she will fight when she has to which is really good to read. Jesper is a really interesting character as he is very different from the others. He cares about all the people that he is with and doesn’t want anything bad to happen to them. He interested me but he wasn’t my favourite character in the book. Matthias grew on me during the story. At the beginning I hated him, but the more I learned about him and saw him change, the more I started to like him. It was the things that he believed in that truly annoyed me and made me think of him as a villain at first. I like how his character progressed and changed into a more likable character. Wylan I really like as he is such a naive character who didn’t want to be a criminal, yet ended up working with a group of criminals. He is such a clever character and did things that I didn’t think that he was capable of doing. I like how his relationship with everyone grew and how he changed throughout the story. There were so many twists and turns throughout the book that I was on the edge of my seat throughout most of the story. I didn’t know what was going to happen next and I didn’t see anything that happened coming. Even up to the last ten pages twists keep happening and you don’t know who to trust anymore. I loved this book so much will start reading Crooked Kingdom immediately. I gave this book a 5/5 stars. P.S. I just created an Instagram account for my blog which is A Universe For Books. I just started on there today so my first picture might not look the best but I will improve with time so you can follow me on there if you want. I hope you all have a good evening and I should have a new post up next week. On Monday, my family and I came back from my holiday to Bournemouth and it was fantastic. If you don’t know where Bournemouth is, it’s by the beach in the UK. We went there especially for this one week because of something that I will tell you later. On Monday, we arrived in Bournemouth and had a look at everything while also meeting up with some friends who were also there for half the week. On Tuesday, we all went to the beach and had a swim in the ocean. We did this on Monday too, but when we arrived it was late. It was so nice and hot and very relaxing too. This was the first time that I ever got a tan because normally I burn and not tan so this was very alien to me. We ended up staying at the beach for a good six or seven hours, no exaggeration. Wednesday was the start of the best part of the holiday though. Our friends were leaving later on that day which was a shame for them because they missed the best part of the year there which, again, I will explain a bit later. There was a treasure hunt type challenge going on where they give you clues and ask you questions about certain things all around Bournemouth. We decided to do this and came across so many cool things such as an arcade, a patisserie valerie shop (one of the best dessert places ever besides Creams) and a 6D cinema. I didn’t go there on Wednesday but I did go on Sunday. While I did this with my friends, my mother and brother found my dream. A dream cone to life. A waterstones with a coffee shop on top of it. That was all I needed and now, I will try to move there as soon as I can. We also found the church where Mary Shelley, author of Frankenstein, was buried alongside her family. On Thursday was the first day of the Bournemouth Air Show. This is the part of the holiday that I have been looking forward to all year. This air show is all about the military including: the army, the navy and the royal air force. This event has always been important to me since we found out about it last year as I have been wanting to join either the army or royal air force for a long time. Turns out, I only have to wait two more years now due to some buildings needing to be built. I’m so excited. On Thursday, we also went to Waterstones and I got myself an iced banana latte which was okay but really strong. I also brought myself The Final Empire by Brandon Sanderson which is the first book in the Mistborn trilogy. The books are huge but I started the first book and it is so good. We went back to the air show where we watched a lot of displays. They were all with war planes and helicopters and they were awesome. Later that night, they did a firework display with the war planes where they shoot out the fireworks which looked amazing. Friday was much the same except that we went around Bournemouth for the day and then from the event, we went back to the beach to see the air show displays again. The best display that day was the one where the helicopter was on fire and two planes flew by shooting out fire works again like the previous day. On Saturday, we went to Poole to an indoor playground which my little brother loved. After that, we went back to the hotel room. When we left again, I was the one who witnessed the Red Arrows fly past and low over the beach. We watched this beautiful display which was the highlight to the days displays and then asked about the royal air force. Like I said before, I have to wait two more years so I can prepare and train before I officially join. I want to either join them or the army. We stayed there for a long time. On Sunday, it was the last day of the Air Festival which was a shame. We went really early in the morning and the first thing that I did was go on the Red Arrows simulator which was incredible as it felt like I was in the airplane. It felt like we did real loop the loops, went upside down and did all of these amazing tricks. After that, we continued down the beach and saw that there were these military tanks, trucks and rescue cars that you can climb into and the soldiers help you climb up and take a picture with you. It was all more cramped than expected but it was all interesting to learn about. There was also this one area where you can shoot with air rifles and the soldiers help you. Seeing as I’ve done air gun shooting before, I knew what to do and did well. After all of this, we went to a formula 1 racing simulator and I did really well on there too. Then, as my mother and brother went off to the water, I stayed behind at the arena which was a barred off area on the sand, and watched first the Parachuters, then the windwalkers, the helicopters, the blades, the Red Arrows and the Battle Of Britain Memorial Flight. I think that the best part of these displays were the windwalkers, the blades and the Red Arrows. The wind walkers were two planes with a woman sitting on top of each one and they did some incredible things like go upside down, lying on their sides and walking on the planes wings all while the planes are flying at incredible speeds. I would love to watch these displays again. This whole event was incredible and its by far my favourite part of the year. On Monday, we went to Waterstones again and I got myself the rest of the mistborn trilogy and had a chocolate chip mint cooler which was delicious. After that, we went into the arcade and then went home. All in all, this was an unforgettable holiday and I can’t wait for next year to come back and see the air show again. During the last couple of weeks, my reading has changed in a major way. A way that I never imagined my reading to change. Is it good, is it bad? I don’t know but I have figured out something that I have never thought that I would ever enjoy. The books are for free. They might only have one book in the series but you have to pay for the rest or they have one book in the series and the rest are excerpts. As it is at the moment, I will continue to read from wattpad as I’m reading some really good books on there at the moment. What do you think? Should I write some reviews on the books that I read on there? Please let me know in the comments. If you want to check out my story that I have started writing called The Secret Storm or want to follow me on wattpad if you have it, my profile name is readingbooks18. I hope to see some of you there. Last night, I finally managed to finish this brilliant series. I loved this series from the first book to the last, and let me tell you, the last book was one of the best endings to a series that I have ever read. I don’t think that this series should have ended any other way. The story from the first book all the way to the last ended up being a major rollercoaster ride with action, adventure, battles and twists and turns that I didn’t see coming. Whilst reading the last book in this series, I did end up crying quite a few times due to some things that happened and the fact that I had to say goodbye to some of my favourite characters whom I have been reading about for six books. The descriptions of new places was so well done that I could picture everything so clearly in my mind which I really enjoyed. Also, all of the new characters that I met at the beginning of the book I ended up really liking and I can’t wait to read more about them in Lady Midnight. I hope that you have all enjoyed my reviews of the whole series and if you’ve read the books ( like I’m pretty sure most of you have,) I hope that you have enjoyed it as much as I have. 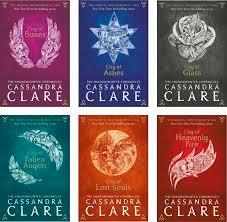 City of lost souls book review. I have given City Of Heavenly Fire 5/5 stars and the whole series 5/5 stars too. The next book that I will be reading is Clockwork Angel so I hope that this series will end up being as good or better than the mortal instruments series. So, last week I got nominated for an award for the first time which, as you can already tell from the title, it’s the sunshine blogger award. I want to thank The Urangutan Librarian for nominating me. 1) Worst book ever written? I don’t normally like to think in terms of a book being the worst book ever written. However, there is one book that I didn’t like as much as I thought I would which has got to be Monument 14 by Emmy Laybourne. 2) Best book ever written? This is a really hard question as every book that I just finished is the best book in my opinion (unless I really didn’t get into it.) 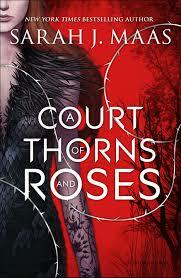 At the moment, Me Before You and A Court Of Thorns And Roses are tied as they are both so different yet amazing books. My review for both of these books will be up during the week sometime which will be exciting. 3) I’ve recently discovered the longest book ever written is 13,000 pages long and in French – do you think you’ll ever read it? I don’t think that I could ever read that book. I don’t know any French and I have troubles getting through a long Stephen King book. Seeing as I can’t get through such a big book, I don’t know how I could ever read such a long book. However, if there was a translated version, I wouldn’t mind challenging myself a bit. I don’t think that I would ever read it though. I don’t actually know. For me, it depends on how good the book is. If it’s slow and nice, then I would take a while trying to absorb whats on the page. If it’s faced paced and is action packed, I would breeze through the pages and before I know it, it’s already the evening and I’m halfway through the book. It all depends on how the book is. 5) In 100 words or less, do you think speed reading should be an Olympic sport? Why/ why not? I do think that speed reading should be an Olympic sport. How cool would that be, to be obsessed with books and take part in something that doesn’t involve a lot of exercise and competing while doing something you love. To be honest, though, if I ever did that, I would fail as I can’t speed read and enjoy what I’m reading. I’ve got to take my time while reading. Tennis and horse racing. I also watch the Olympics when they come around, and then, I like to watch the tennis, dressage, gymnastics, shooting and archery and the running. I do enjoy taking part in some of these sports when I have the chance which makes following the sports so much better to me. 7) What’s the best place you’ve ever been on holiday? I’ve never actually been anywhere outside of the UK and Germany, however I did one time go on a residential trip to North Wales a couple of years ago. It was beautiful there and the views were amazing. It was so green and scenic. I can still picture it so clearly. The hills were so steep (which I know as I had to hike up the hills for two and a half hours), the waterfalls that we had to jump down during gorge walking were freezing cold during the rain and everyone was so friendly in the countryside there. It was Snowdonia where I went and I really want to go back one time. 8) Not including Earth – what’s your favourite planet and why? My favourite planet would have to be Jupiter. Jupiter is, after all, the planet that brings luck when it comes into alignment with your star sign. I’m sorry. For some reason I have been more interested in astrology than I ever have been. What can I say; it’s really interesting stuff. I would do a handstand if I could. I have a massive fear of going upside down so I have never managed to do a handstand. 10)Write a limerick about your favourite/ least favourite dictator. Cut them down like knives. And Hitler later died and we all hoped that he never survives. That was harder to come up with a limerick than I thought it would be. I only really know about Hitler so I tried to write one on him. I hope that this was good enough though. 11) If your house was burning down and you could save one item, what one item would you save? This is a difficult question. I think that I would have to save my notebook. I would have said my phone as it would be very helpful in the scenario, but I always make sure I have it on me at all times so I would probably already have my phone in my pocket. The reason why I would save my notebook is so that I can write down everything that happened to help me calm down and then I can also write some stories as I love to write and have always wanted to write a book. I mean, I even studied creative writing last year just so that I could have a chance at being a writer. Without anything to write with, I would feel like something major was taken away from me which is why I would save my notebook. Imagine your favourite book is being turned into a book to movie adaptation. See if you can create a soundtrack to this book. Which book would it be? I will write up some reviews over the next couple of days so be prepared to see them. See you soon. Pick a book that left a lasting impression on you. 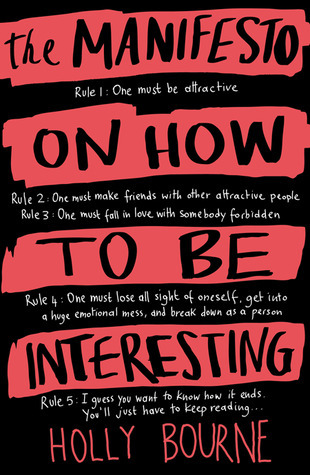 I have chosen The Manifesto On How To Be Interesting by Holly Bourne. This is because it is a really clever book that left me thinking after reading it. It deals with a lot of issues and a lot of the stuff in this book is relatable. Its been a while since I read this book and I am still thinking about it. Favourite first book in a series. I have chosen Gone by Michael Grant. This book is really gripping and is a great way to start of a series. This book is a dystopian and is based around the idea of what would happen if there was a dome and everyone over the age of fifteen disappears. I found it rather scary how realistic parts of it were, especially at the beginning. This is a great read and you should check it out if you haven’t. I have chosen every character in Monument 14 by Emmy Laybourne. I liked the plot and the story in general of the book, but the characters annoyed me. I don’t know why, but I couldn’t get myself to like any of the characters which is why I couldn’t finish the series. Pick your favourite last book in a series. Seeing as I put the first book in the series as my favourite first book, I just had to choose Light by Michael Grant, the last book in the Gone series. I think that this is the perfect ending to the whole series and I don’t think it could’ve ended a different way. All.of the story lines were wrapped up in an amazing way and I just really enjoyed this book. This is definitely a book that everyone should read. I should warn you though, these books contain a lot of violence. Pick a book you think everyone should read. For this, I wanted to pick a very underhyped book that not a lot of people have read. 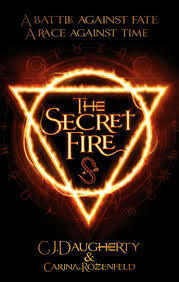 Therefore, I just had to pick The Secret Fire by C.J Daugherty and Carina Rozenfeld. This book is really imaginative and unique and quickly became one of my favourite books of the year. So far, there is only one book in the series but the second one is supposed to come out in September which am so excited for. I can’t say a lot about this book without spoiling it. I wrote a review on it here if you want to check it out. Pick a book with your favourite colours on the cover. 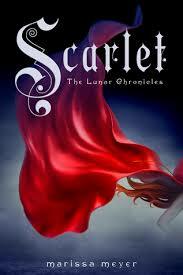 For this, I picked Scarlet by Marissa Meyer. This cover is so simple and beautiful and it also has my favourite colour on the cover which is red. Pick a dark and mysterious book. 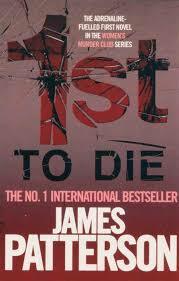 For this, I chose 1st To Die by James Patterson. This book series isn’t my favourite series and I couldn’t get through this book. However, it is dark and mysterious which is why I chose it. This book is about a woman who tries to solve the murders of newly wed couples. For me, this book was a little too violent and graphic for me so I couldn’t finish it. 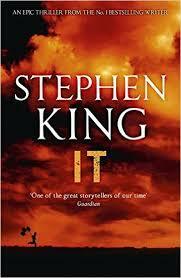 The longest book that I own will have to be IT by Stephen King. This book is 1376 pages long and is a very heavy book. I still have to read it and I hope to read it soon. I’ve been meaning to read it for a while but the length is so intimidating but I plan to read it as soon as I finish reading the other books that I need to read first. Pick a book with a cringe worthy romance. For this one, I don’treally know any books with a cringe worthy romance. Maybe the romance in Monument 14? I haven’t read it in a long time but I do remember not liking the couple in the story. Pick a book that brightens your day. 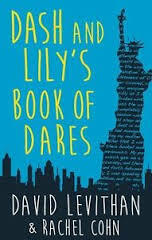 This book may not be the best book on earth, but it is a really cute read that can always put a smile on my face. I just have to pick the first kiss between Feyre and Tamlin in A Court Of Thorns And Roses. Throughout a lot of the book, if you were in the same room as me, all you would’ve heard me say was, “Come on. That was the perfect opportunity to kiss. When are they going to kiss.” There were a lot of parts where they were so close, then nothing happened which made the scene where they finally kiss so much more exciting. When I read this part, I was literally jumping for joy. I hope I’m not the only one with this reaction. So, that was my first tag. I had a lot of fun doing this tag and it was a great new blogging experience. I hope you enjoyed it as much as I did. Please let me know in the comments some of your thoughts on the questions so we can talk about these amazing books. Please check it out as I have already done a knew post on there. See you on the other site. Tabby on What Am I Reading? Nicola @ Thoughts on… on What Am I Reading?